OnePlus is the go-to brand when you need a high-end smartphone at a much more reduced price than your popular brands. 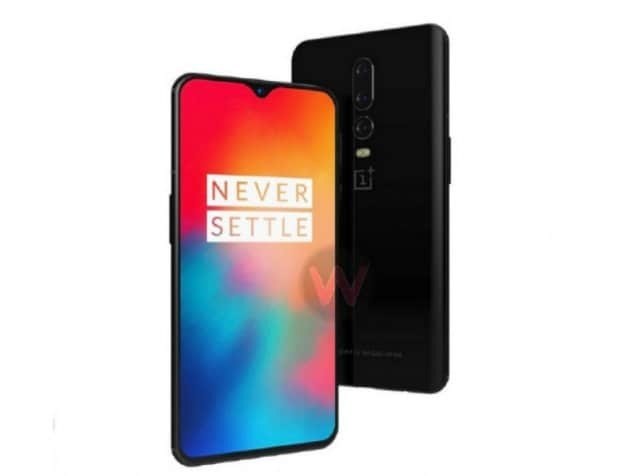 The company released its flagship phone earlier this year named the OnePlus 6 which is quite a remarkable smartphone by the way. It is here again with yet an even better smartphone tagged as the OnePlus 6T. The new smartphone comes with some significant improvement and also adopts the in-display fingerprint scanner which is the new rave at the moment. If you are looking for a reason to buy the OnePlus 6T, you are welcome to check the rest of this article. There is really a significant difference between the smartphone and its predecessor with some key differences like the teardrop notch and absence of rear fingerprint scanner. You’ve got a camera duo at the center of the phone while the rest of the back is bare. The smartphone is also made of glass on both sides with only black colours available. It has two shades of black, a mirror black finish and a midnight black colour. This is the first time OnePlus will be using the fancy notch on their smartphone and it looks quite appealing. Taking after the other flagships, the smartphone sports a considerable lengthy display of 6.41-inch. You still have the nice AMOLED screen so be rest assured of mesmerizing deep blacks and punchy colour reproduction with the resolution of 1080 x 2340 pixels. 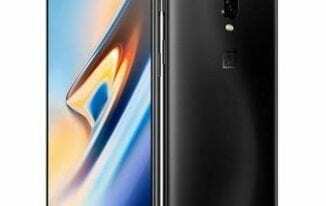 A sizable addition has been made to the battery capacity of the smartphone relative to the one on the OnePlus 6. The OnePlus 6T sips power from a 3, 700mAhbattery and is sure to deliver an all-day usage time under normal circumstances. There is no wireless charge like in other flagships which is sort of a setback if that means something to you and if it doesn’t then you’ve got the dash charge feature that tops up the battery in no time. Not much has changed in the realm of cameras on the smartphone except for some few software tweaks made to feature. There is the 16MP main camera and the 20MP secondary sensor has seen on the OnePlus 6 too. You’ve got options for Google lens, slo-mo videos, portrait and a nightscape view for better low light shot amongst other features. To the front, you’ve got a 16MP camera concerned with taking selfies. In the same way as other flagships, there is AI integration into the camera. You really don’t have much of a difference between the OnePlus 6 and OnePlus 6T because of the unavailability of the next-gen high-end SoC. There is only the Qualcomm Snapdragon 845 processor like before on it and the usual Adreno 630 GPU. More so, it has a 6GB RAM model with 128GB storage space and another 8GB RAM variant accompanied by a 256GB internal storage space. It has the latest Android 9.0 Pie OS too. The base model of 6GB/128GB has a price tag of about 200, 000 Naira while the 8GB/128GB goes for about 211, 000 Naira and the 8GB/256GB for around 229, 000 Naira. There’s no presale and the smartphone will go on sale come November 6.